It’s January, and the worries are long. 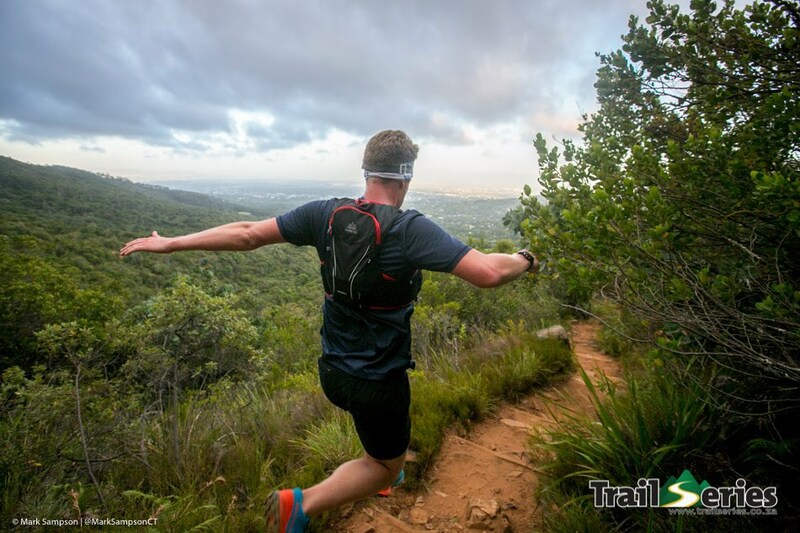 So finding your tribe at the base of the mountain at sunset, and running off along some of the most beautiful trails of Kirstenbosch Botanical Gardens before reaching sweeping views of Cape Town was a welcome remedy, and a cracking launch of the 2019 trail season. The first race of 4 in this year’s edition of this popular series was made up of a 10km (400m ascent) and 5.8km (309m ascent). Participants enjoyed the amazing experience of running past the fragrance gardens and up onto the fringes of Cecilia Forest along the contour path. After the beautiful mountain trails, there was a playful technical descent followed by a magnificent indigenous forest. Then back into the gardens and through the magical setting of the cycad forest at night and onto the festive finish line, where food trucks, hot coffee, pancakes, free massage and a top notch lucky draw line up awaited. No one seemed in a hurry to leave. Each race was at capacity, with 4 batches who took to the trails between 7pm and 7:30pm. The sharp end was very sharp, the kids showed plenty of runners how to own the short course, and the vibe was a great celebration of community, outdoor beauty and a new year. In the long course, the A batch was destined to give it a proper smack. Names such as Siviwe Nkombi, Stephen Millard, Rory Scheffer, Lucas Adams, Jono Black, Peter Tsawayo and Daniel Claasen took off at whiplash speed. The finish line crew were ready with seconds to spare as Nkombi stormed through, taking 40 seconds off the previous course record to finish in 38m48sec. Scheffer, too, finished within the previous course record, in 39min24sec, and Tsawayo rounded out the podium in a time of 39:32. Mags Wright was first woman home in 52min20sec, followed by a visibly surprised Carla Whitehead, just 20 seconds later. Third on the podium, and first master female, was Julie Huckle in 52min53sec. Then it was time to cheer in the many runners as their headlamps snaked down off the mountain in time for prize giving, and an array of outdoor gear giveaways from Jaybird, Boldgear, Northridge, Petzl and Hydro Flask. New technical partner, Boldgear, announced that there would be unique finishers’ tees for participants who completed four (of the same distance) races in the series. Those wanting to work towards getting their hands on one of these tees must confirm their entries by 21 January. The next race is this Sunday, 20 January, and takes place at Lebanon Forest. Entries via www.trailseries.co.za and remember that kids 10 and under, if pre-registered, will run at no cost. Apply for their discount code by emailing info@wildrunner.co.za. Thanks to all the partners, new and old, and the Wildrunner crew for the opportunity to gather the tribe and celebrate health and our unbeatable outdoor playgrounds together.